Shall you learn how to paint? Or simply use ConvertImage to turn your photo into digital painting ! 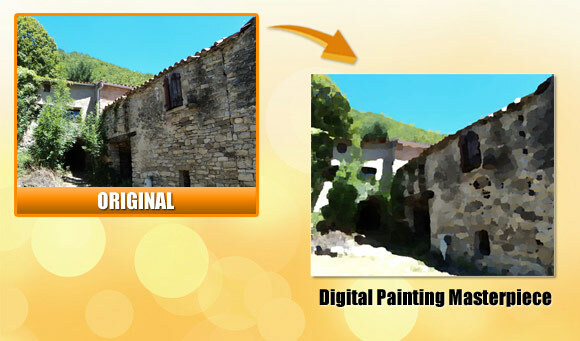 The website creates a real digital painting online from your photo, without using any software! Create your own masterpiece, choose the size of your pencil and paint your canvas to achieve your gorgeous painting. Our online painting effect is much more simple than trying to learn how to use oil painting or acrylic… and for a better artistic outcome! Choose your brush among 4 available sizes, and give an incredible depth to your photography. You will turn your photo into paint artwork to your picture in the next step, just after sending your file. Create beautiful paintings from your photos ! 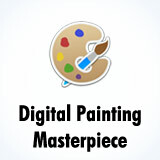 ... an create an online masterpiece from it instantly !